Very professional job. Very pleased. Tidied up after the job. Work was done promptly and very well. The house was clean and tidy when worker left. Highly recommended. We found Access4Lofts to be very punctual, reliable, hard working and pleasant. Very tidy and friendly service. Nico arrived on time. He explained the process. He was thorough with the job putting down dustsheets, hoovering after. Leaving all clean and tidy. We are very happy. Welcome to Access4Lofts Guildford. My name is Jed and I’m your Guildford based loft ladder installation expert I’m ready to install a loft ladder to help you utilise your loft space. We do this by providing a quality service and installation of a new loft ladder quickly, easily and at an affordable price, giving you loft access and storage solutions to suit your requirements. Not only can we install a loft ladder, I can also move your loft hatch or fit a brand new hatch, supply and fit loft boarding, insulate your loft to the latest standards, even install loft lighting and often in just 1 day – no mess, no fuss, just easy access to all that lovely storage space. As well as installing loft ladders, hatches, boarding and insulation in Guildford, we also cover the areas of: Woking, Weybridge, Godalming, Haslemere, Hindhead, Cranleigh, Ewhurst, Shamley Green, Cobham, Chertsey and all of the surrounding areas. If you’re unsure if we cover your area, please just contact us. We offer a free quotation service with no high pressure sales and better still we don’t blind you with science or give you an approximate price and then add on extras – all our quotes are followed up in writing the very next day and we put a minimum of 5 year guarantee on all my work! And for extra peace of mind, I’m accredited by the Which? Trusted Trader scheme. We are also the preferred installer for the Loft Leg System. 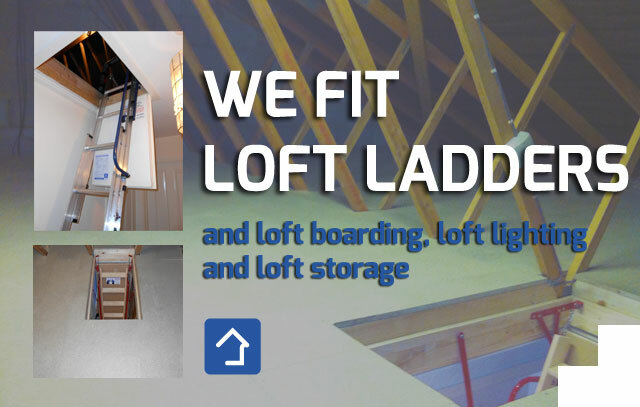 So if you are looking for a company to supply and fit a new loft ladder or wanting to make more use of your loft for storage, Access4Lofts Guildford is here to help. Please contact me 01483 660406, or fill out my online quote enquiry form and I will happily arrange a convenient time to prepare a no obligation quotation.